Stuck in a haircolor rut? Go green! 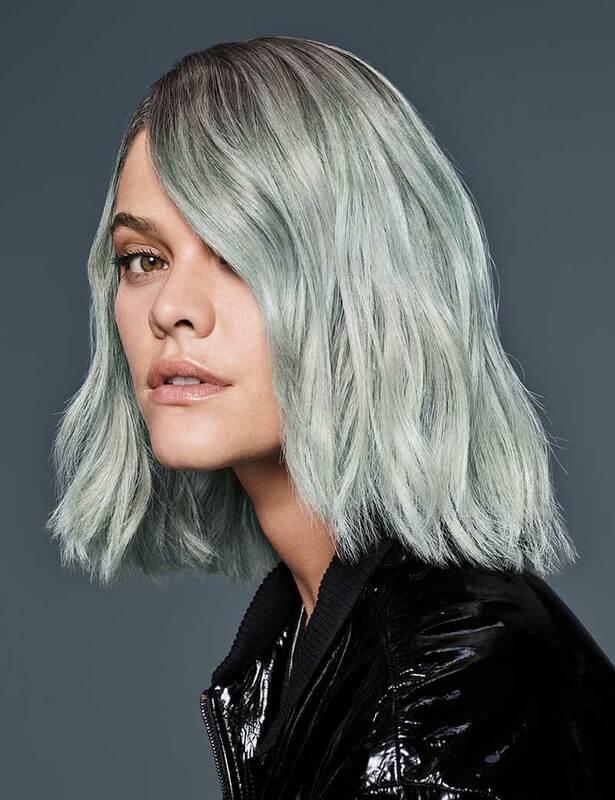 This pale green haircolor starts with a dark root and transitions into an icy, green haircolor. The soft wash of pastel color is created using Shades EQ, Redken's secret weapon for glossy haircolor that is easy to refresh and that requires minimum upkeep. Ask your stylist to recreate this pastel green look today!